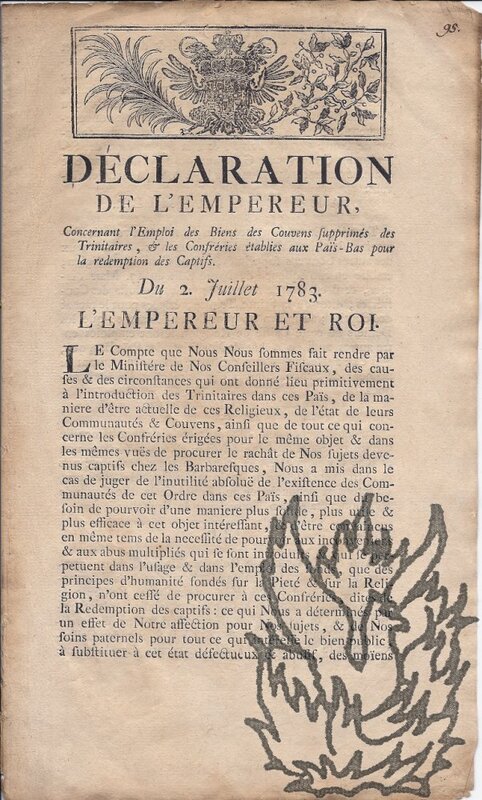 [2 Juillet 1783] Namur, chez G.J. Lafontaine, Imprimeur patenté de Sa Majesté l'Empereur & Roi, 1783. Disbound, four pages, folio, aged but good, paginated -4, but also numbered in MS. 95-98. The Trinitarian Order was created in France in the C12th to raise funds to ransom crusader and other Christians held by barbarians. 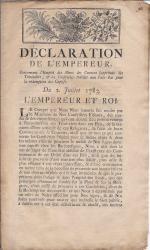 This edict from Emperor Joseph II of Austria orders the suppression of this order and the confiscation of its property since the Order's original purpose was no longer valid. [Pamphlet] The Gospel in Paris. 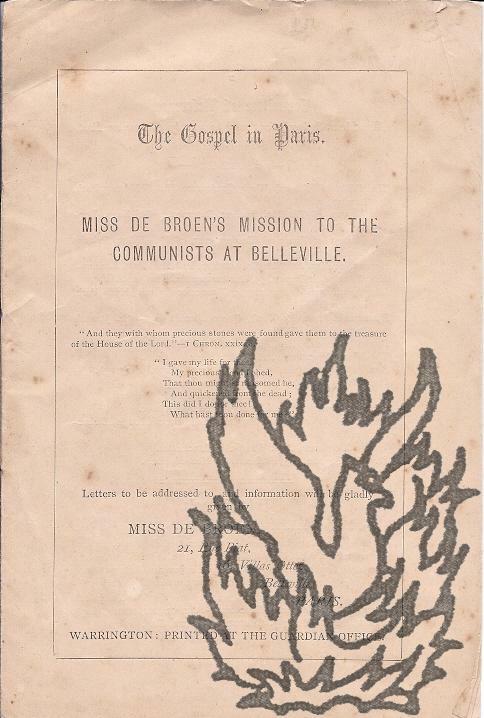 Miss de Broen's Mission to the Communists at Belleville. Warrington: Printed at the Guardian Office [1871?]. 6.5 x 2.5cm, staining from having been laid down in an album (residual glue), but signature clear. 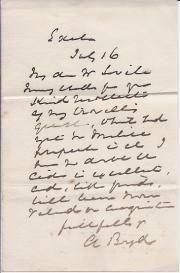 Two Autograph Letters Signed from Rev. 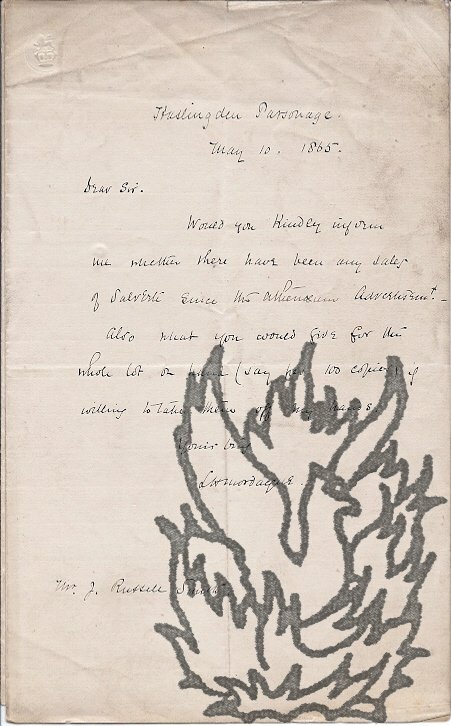 Louis Henry Mordacque ('L H. Mordacque'); the second addressed to the bookseller John Russell Smith. 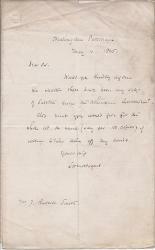 13 July 1864 and 10 May 1865; both from Haslington Parsonage. Both 12mo, 1 p; and both bifoliums. Both aged and creased. 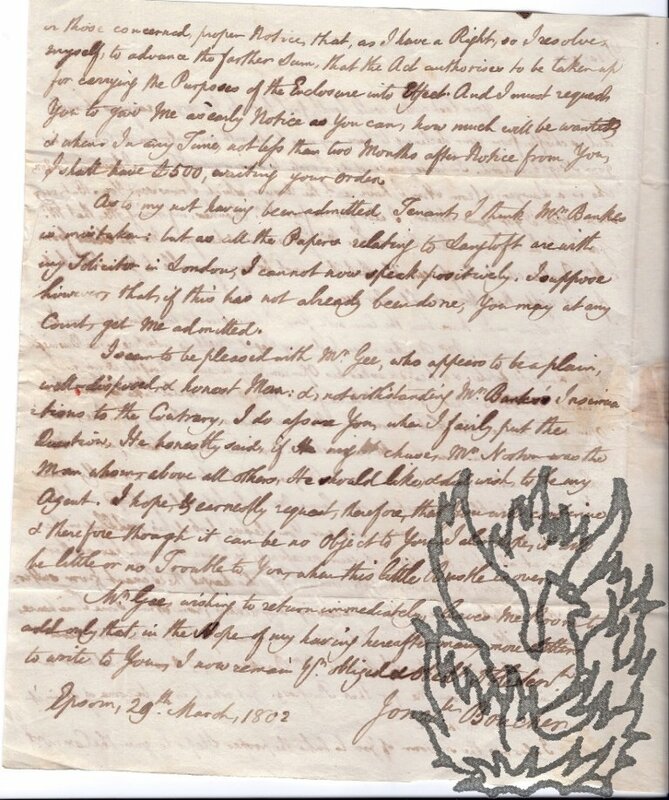 Letter One (recipient not named): Asking to be sent any works 'that would give information on the subject of Chaplaincies abroad in connection with the Government or otherwise', as well as 'a copy of the publisher's circular regularly'. 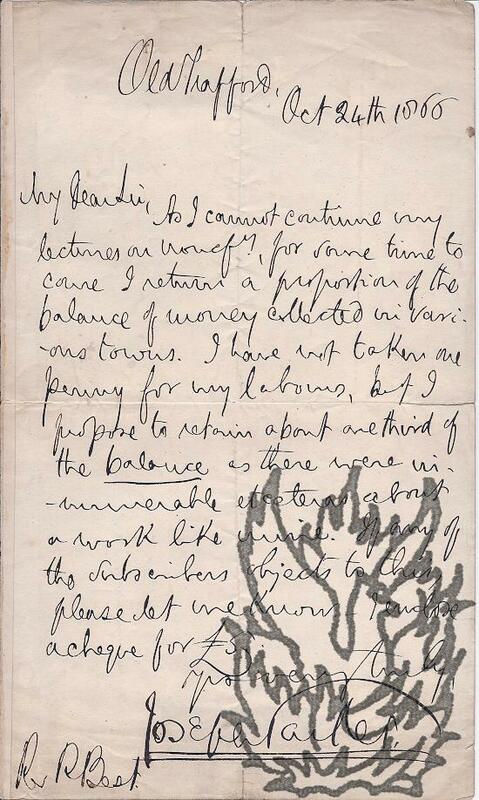 Letter Two (to Smith): Asking if there 'have been any sales of Salverte since the Athenaeum Advertisement', and what Smith would give 'for the whole lot on hand (say per 100 copies) if willing to take them off my hands'. One Autograph Letter Signed and Two Typed Letters Signed (all 'Randall Cantuar:') to [William George Arthur] Ormsby-Gore. 9 January and 28 April 1913, and 9 May 1914. 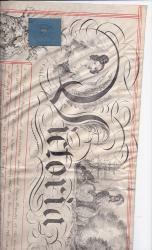 The first on letterhead of the Old Palace, Canterbury, the other two on letterheads of Lambeth Palace, S.E. All three items in good condition, with texts clear and complete, on lightly-aged paper. 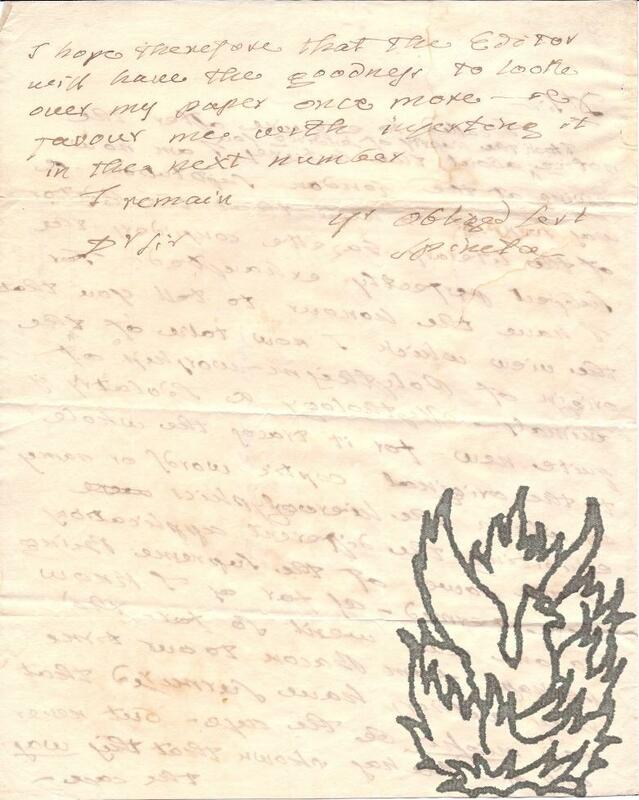 Letter One: 9 January 1913. Typed. 8vo, 3 pp. Bifolium. Twenty-eight lines. Sending florid congratulations on Ormsby-Gore's forthcoming marriage, and describing him as 'one who is bearing burdens bravely & buoyantly in the public service, & striving honestly to do his duty to God & man'. His bride-to-be, Beatrice Edith Mildred Gascoyne-Cecil, is described as 'a maiden like-minded'. 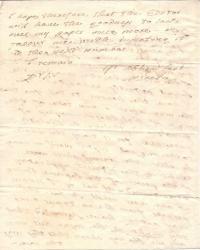 Letter Two: 28 April 1913. Typed. 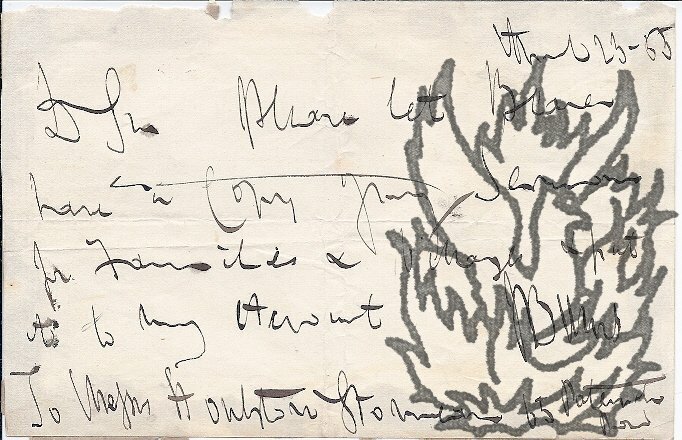 4to, 1 p. Fifteen lines typed and a short autograph postscript. Extended title For Promoting the Education and Religious Instruction of the Native Irish through the medium of their own Language. Four pages (-4), 8vo, formerly bound in a book, chipped at fold, mainly good. 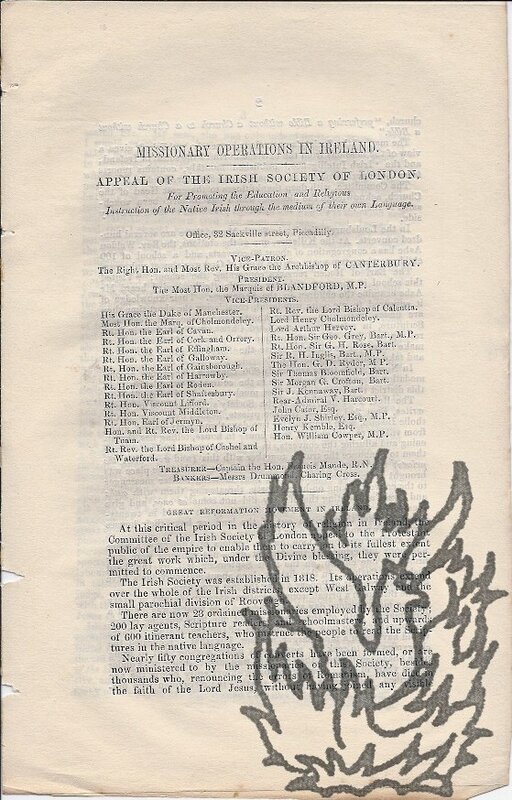 List of Patron, President and Vice-Presidents and discussion entitled Great Reformation Movement in Ireland, giving details of the state and progress of Protestantism. Autograph Letter Signed Spineto to Henry Colburn, publisher, arguing that his pet subjects are not exhausted. Two pages, cr. 8vo, bifolium, segment cut from bifoliate leaf, no obvious loss, fair condition, text clear and complete. 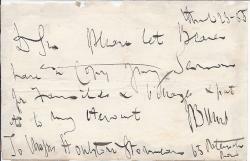 Autograph Note Signed from the General Baptist minister Jabez Burns ('J Burns') to the Paternoster Row publishers Houlston & Wright. Landscape 12mo, 1 p. Text clear and complete. 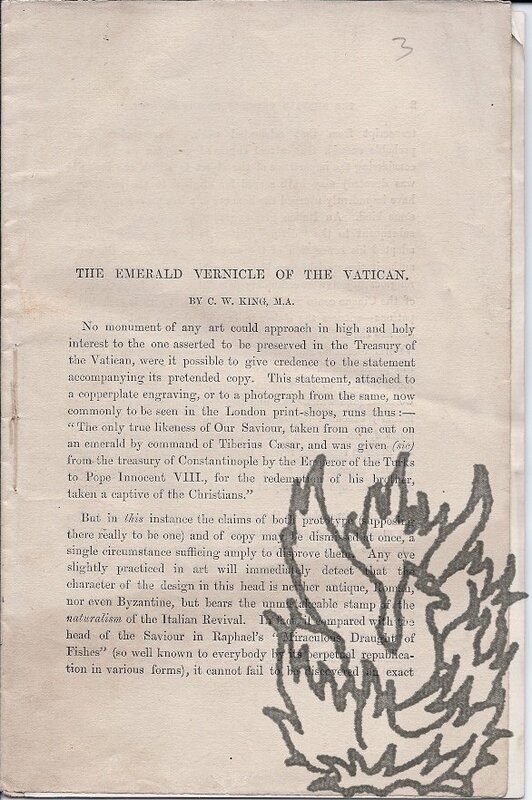 Good, on aged paper, with light traces of mount adhering to the blank reverse. 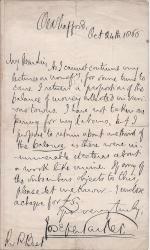 Asking for a copy of his 'Sermons for Families & Villages' ['Sermons chiefly designed for family reading and village worship', 1842] to be given to an individual, and 'put to my Account'. Autograph Letter Signed ('A Boyd') from Archibald Boyd, Dean of Exeter, to 'Mr Savile'. 16 July [no year]; Exeter. 16mo, 1 p. In small purple envelope with mourning border. Twelve lines. Text complete. Good, on lightly-aged paper. Execrable handwriting. A letter of thanks. 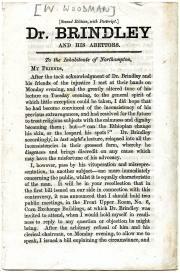 Written after Boyd became Dean in 1867. 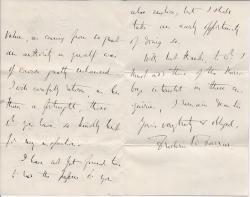 Autograph Letter Signed from Frederic William Farrar, Dean of Canterbury, to an unnamed male correspondent. 26 April [no year]. Harrow. 12mo, 3 pp. Bifolium. 24 lines. Text clear and complete. Good, on aged paper. He thanks him for the present: 'I have been examining the "belts" with the greatest interest, & have already shewn some of them to our Scientific Society'. He will 'take an early opportunity' of reading the papers sent by 'so great an authority as yourself'. He adds the thanks of 'the Harrow boys interested in these enquiries' to his own. 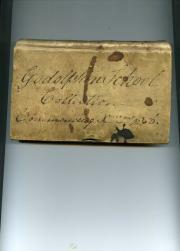 [Quaker pocket book, with manuscript diary] [No. 5.] 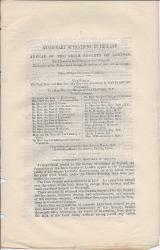 The Annual Monitor and Memorandum Book. Arranged upon the improved Plan, for the Year 1817. 12mo, 144 pp. In original grey printed wraps. On stained, aged paper, the staining causing loss to the manuscript portions of the book. The first 36 and last 30 pp contain printed matter including poems, essays and obituaries of Quakers. 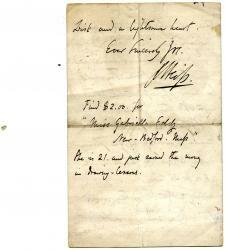 The central 78 pp contain the diary, memorandums and cash book, which carry numerous entries in a neat, tight hand. The diary is written by a woman, and details day-to-day activities.. The author travels from Darlington to Islington. W. H. Buckler's own copy of the offprint of his monograph 'Edward Buckler (1610-1706), poet and preacher', bound together with material relating to Buckler from 'Somerset Notes & Queries and an Autograph Letter Signed by Sir David Ross to Buckler. Buckler's monograph: The Bibliographical Society, London, 1936. Somerset & Dorset Notes & Queries: Sherborne, 1937. 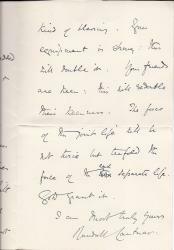 Ross's letter: 15 February 1937, on letterhead of the Provost of Oriel College, Oxford. All items good, on lightly-aged paper. 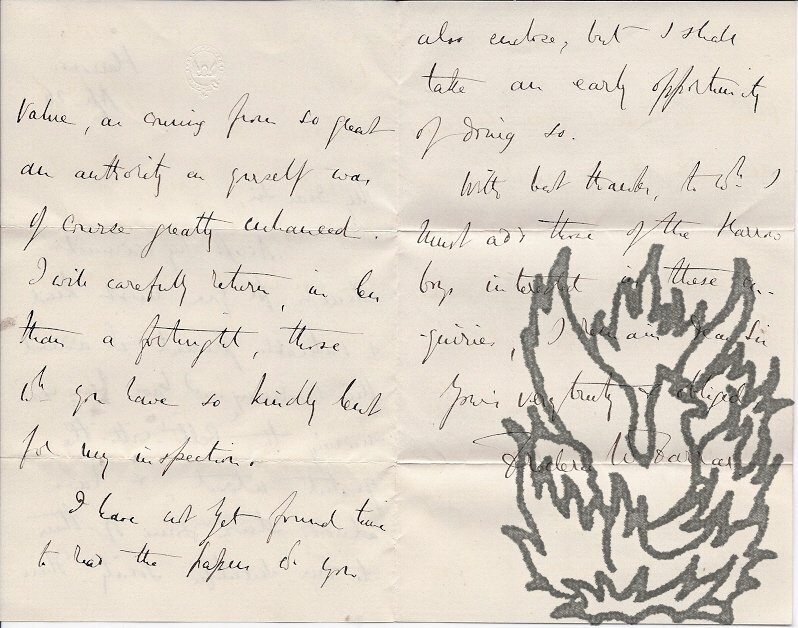 Ross's letter: 12mo, 1 p. Thanking Buckler for the piece of 'Orielania', and giving some information regarding the poet's connection with the college. The other items bound in grey boards with 'Edward Buckler 1936' on the spine. W. H. Buckler's monogram, with its original grey printed wraps, i + 5 pp (paginated 349-353). The title and relevant pages of the article '120. EDWARD BUCKLER' in 'Notes & Queries for Somerset and Dorset, June 1937, i + 4 pp (paginated 121-124). 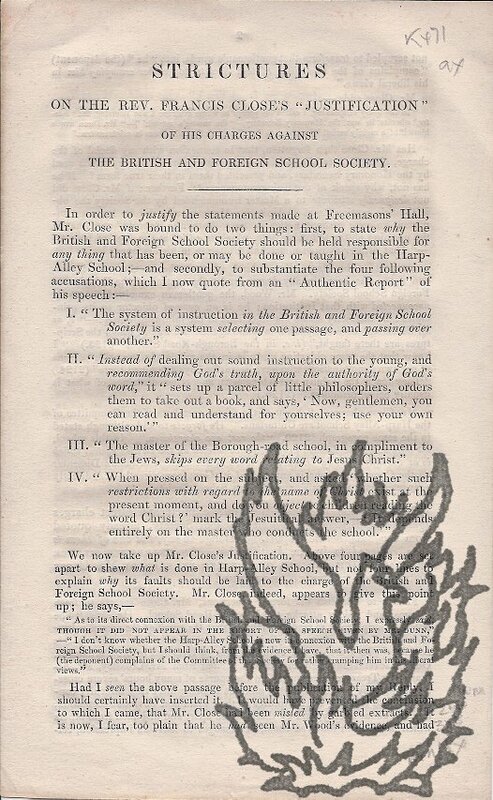 [pamphlet, one of fifteen, with manuscript list of recipients] Messrs. Moody & Sankey, and the Problem of the Times. Being an Article offered to the St. Louis Republican for Thanksgiving Day, and printed now in a few copies for private communication. January 1, 1876. St Louis, Missouri: No. 2816 North 12th Street. 12mo, iv + 8 pp. Stitched. In original blue printed wraps. Text clear and complete. 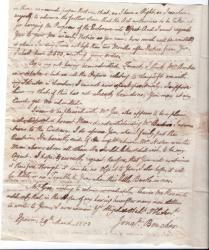 Fair, on lightly-aged paper, with minor foxing. In original worn blue wraps, with closed tear to the spinal crease. 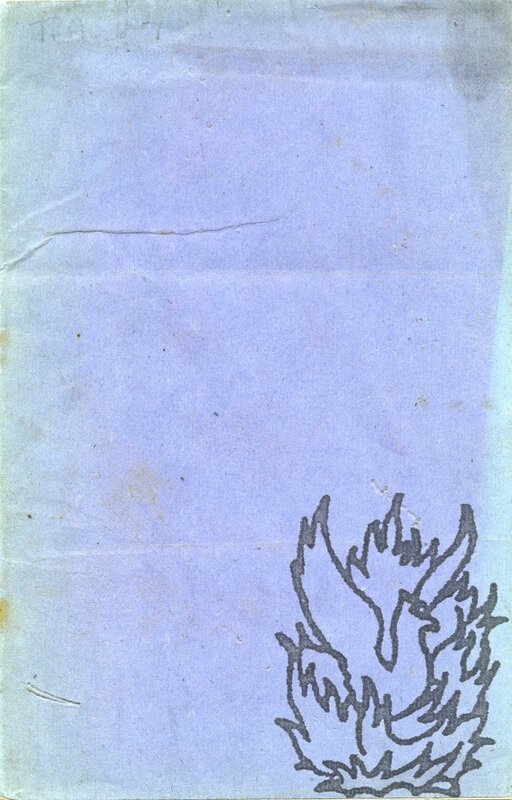 Title leaf followed by printed limitation leaf: 'No. 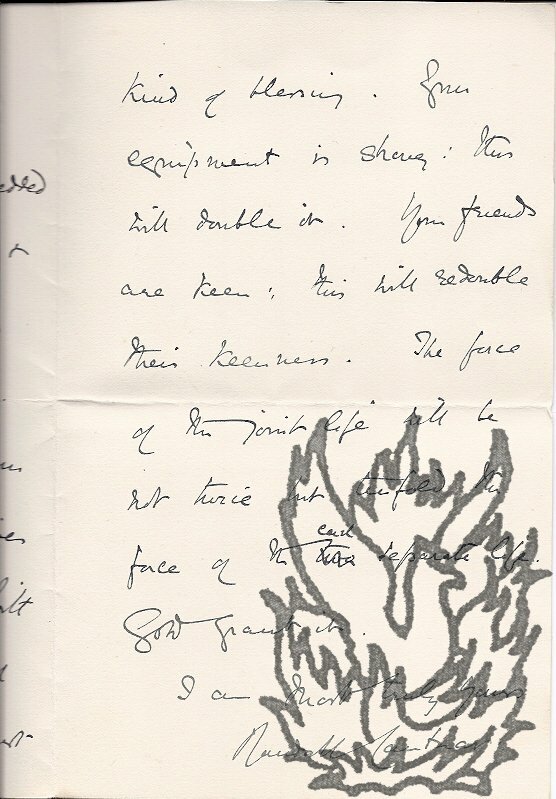 4a | This Copy is Inscribed to Prof John Tyndall'. 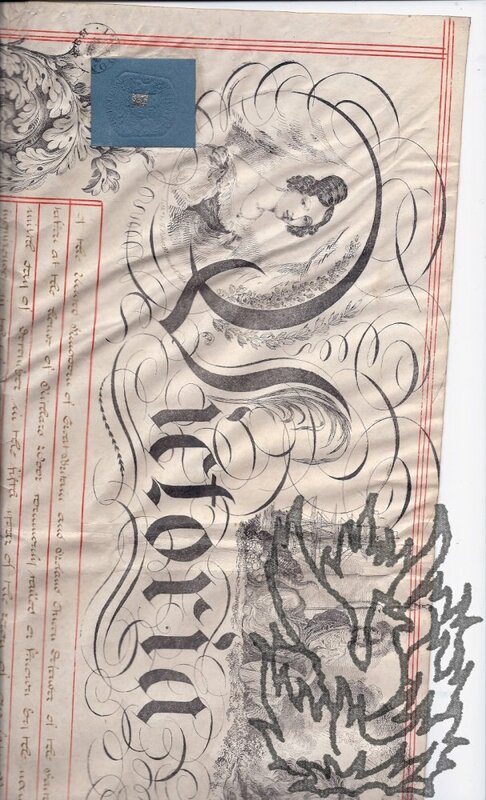 On the inside of the back wrap is a manuscript list headed 'Memo from Mailing account Book', numbered 1 ('Mr Carlyle') to 12 ('Rev H. W. Beecher'). Included are 'R W Emerson', 'H W Longfellow', and at 4, 'Prof Tyndall, Huxley, Proctor, & Mr Spencer' (the last three being 4b, 4c and 4d). 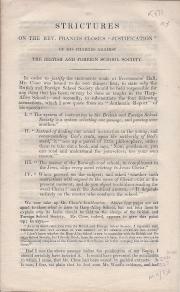 Second Edition, with Postscript. [1861.] Taylor and Son, Steam Printers, Northampton. 8vo, 11 + [i] pp. Disbound. Good, on lightly-aged and worn paper. 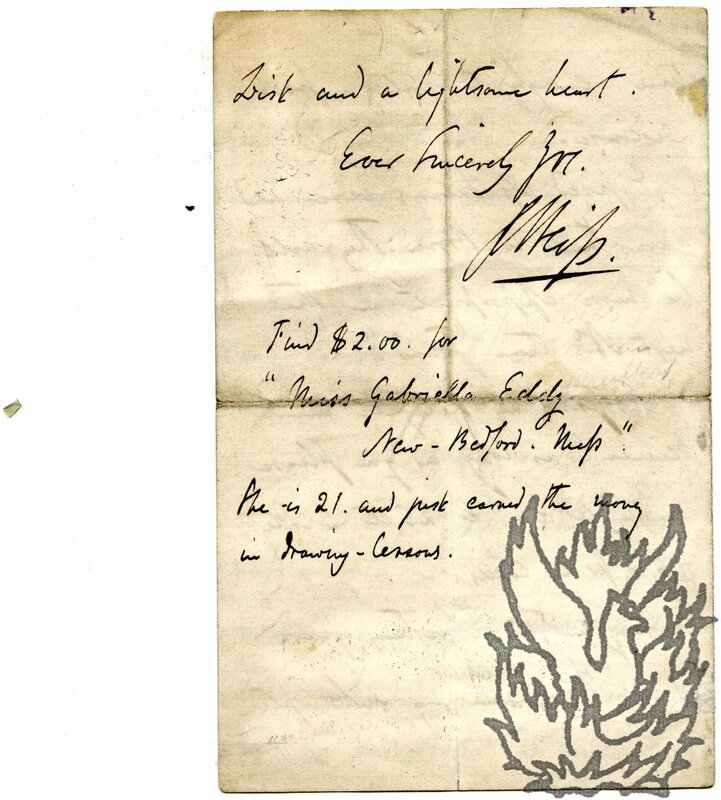 Signed in type at end (p.11) 'WOODVILLE WOODMAN. | Stoneclough, near Manchester, | March 5th, 1861.' The final page is headed 'PUBLIC NOTICE. 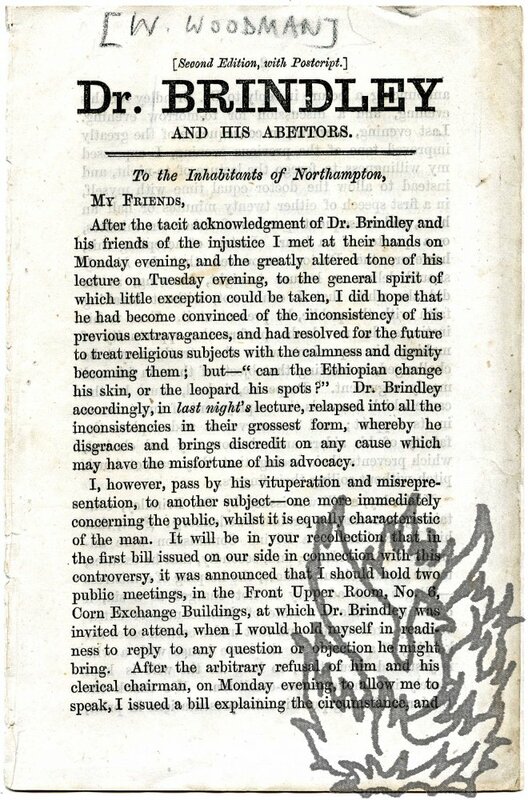 ', and advertises services and a 'Reading & Tract Society' at Northampton New Church, Corn Exchange Buildings, ending 'The Library comprises the works of Swedenborg, and general New Church Literature. A passionate retort, in defence of Swedenborgianism, to the Brindley's Methodist interpretation of 'Swedenborg's doctrine of marriage', as set out in a lecture. 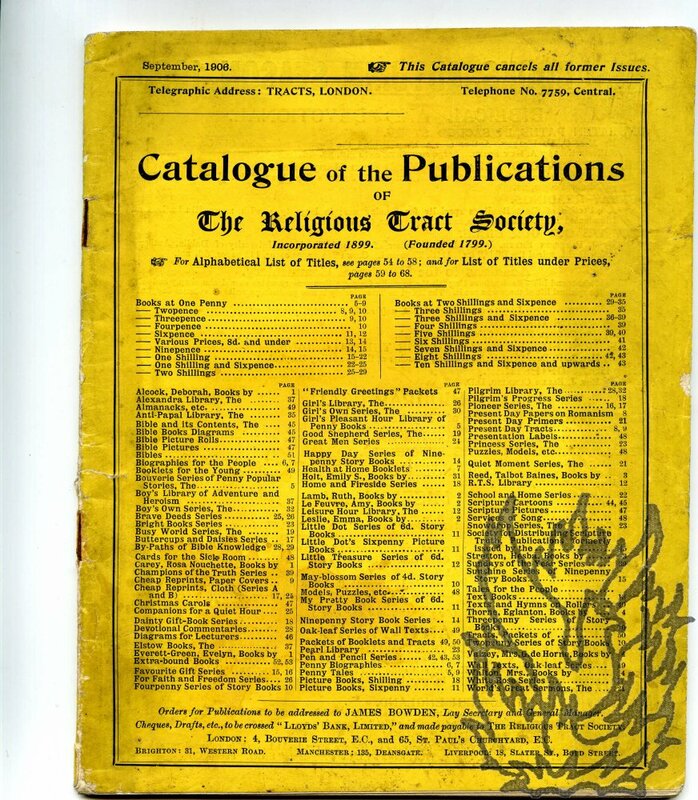 'The insinuation of Dr.
Three catalogues of publications by the Religious Tract Society ('Illustrated Gift Books', 'The "Pen and Pencil" Series' and general catalogue for September 1906) together with three ephemeral items relating to the Society. All items unbound. Texts clear and complete. On aged and dusty paper, with some spotting and one item creased at extremities. 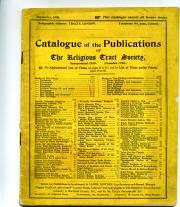 ITEM ONE: General catalogue (4to, 68 pp). In original yellow printed wraps. ITEM TWO: Catalogue of 'Illustrated Gift Books' (12mo, 12pp). Numerous vignettes. The front page, bearing an engraving of a seagull, headed in red 'Sold by W. EARDLEY, Crewe'. ITEM THREE: 'The "Pen & Pencil" Series.' (12mo, 10pp). Illustrations, including one of the Bishop's Rock Lighthouse. 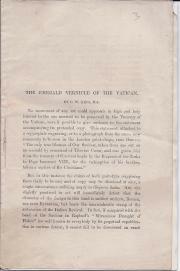 ITEM FOUR: Handbill advertisement (8vo, 4 pp) for 'The Annotated Paragraph Bible'. 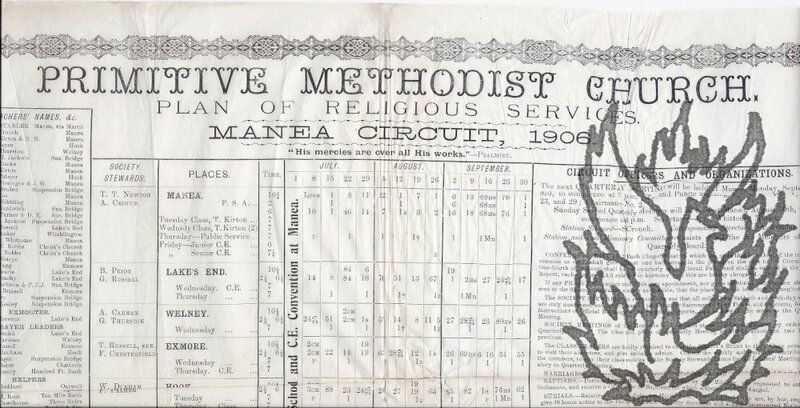 Printed handbill, addressed 'To the Members of the Wesleyan-Methodist Societies', headed 'Worn-out Ministers' and Ministers' Widows' Auxiliary Fund'. 12mo, 2 pp. On single leaf. Text clear and complete. 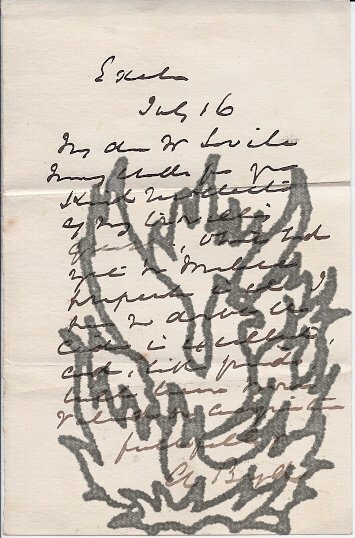 On aged paper with stitch marks along one margin. No copy on COPAC. The Annual Address of the Conference to the Methodist Societies in Great Britain, in the Connexion established by the Late Rev. John Wesley, A.M. August, 1852. John Scott, President; John Farrar, Secretary, Conference to the Methodist Societies in Great Britain, Sheffield, 1852. 12mo, 12 pp. Unbound. Stitched as issued. Text clear and complete. On aged and worn paper. 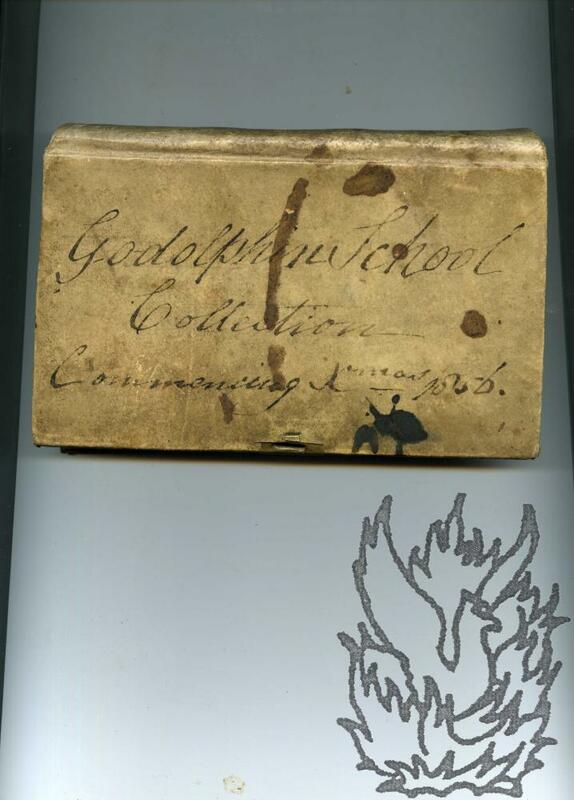 Ownership signature at head of title: 'Mr. Whittaker'. Ends: 'Signed on behalf and by order of the Conference, | John Scott, President, | John Farrar, Secretary. | Sheffield, August, 17th, 1852.' Scarce: no copy in the British Library, and none on COPAC. Autograph Letter Signed ('John Fisher') to the Rev. 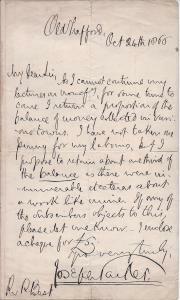 E. Taggart, Addison Rd, Kennington, regarding the distribution of Unitarian material in France and Spain. 8 July 1843; 4 Highbury Park. 4to, 1 p. In bifolium. Fifteen lines of text. Clear and complete. 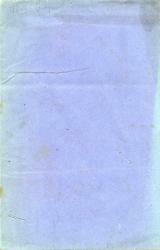 Good, on lightly-aged paper, with thin strip of archival paper from mount adhering to the second leaf. Addressed and docketed, with postmarks, on the reverse of the second leaf. Begins by discussing a translation, then discusses a 'grant of Books': 'probably a series or two of the Repository may relieve the shelves of the society to some advantage'. Printed pamphlet (with 'P.T.O.' in large letters on cover) and handbill notice, with autograph covering letter to an unnamed clergyman [Rev. Charles William Shepherd], in which he describes himself as 'the "Doyen" of Ecclesiastical Agents'. None of the items dated. 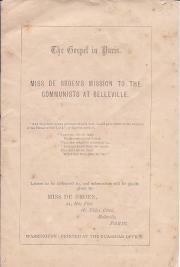 Pamphlet from circa 1897. The three items indicate a brashness approaching hucksterism on the part of a Victorian professional, in addition to marketing techniques advanced for the period. Letter: 12mo, 2 pp. Stamped at head: 'Edw. Broughton Rouse, M.A., LL.D. | 436, GLOSSOP ROAD, | SHEFFIELD.' Twenty-five lines of text. Clear and complete. Fair, on lightly-aged paper. Many hundreds of this letter must have been copied out and sent to clergymen throughout England. John Weiss (1818-1879), Unitarian Minister, author, "second generation transcendentalist"
Watertown, [MA], 26 December 1865. Four pages, 8vo, grubby and with fold marks but text clear and complete. Weiss is writing about an untimate contribution to "The Radical" and another article. "I don't know that it is a matter of much consequence, but I rather want to have my "Dangers" [Dangers of Our Political Machinery, published in "The Radical", No.III, Feb. 1866, p.208ff] in hand, that I may put it in print in some form - newspaper perhaps - beause it explains and fills out my sermon, especially on that delicate point of suffrage.